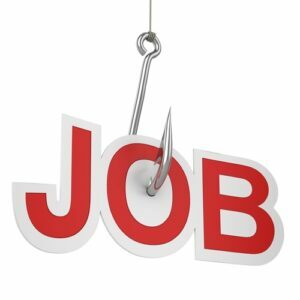 Job concept with a hook. Photo courtesy of Shutterstock. As a fresh graduate, you frequently find yourself in a vicious circle. You have no experience and this is frequently why you do not pick a job. And since the economic crisis, really the job market is facing rigid competition, as there is a shortage of jobs throughout the world. For organisations, personalities and qualities of graduates take precedence over technical skills. Points of attention for the candidates are: presentation in job interviews, explaining their motives and writing a good resume.